So much going on! 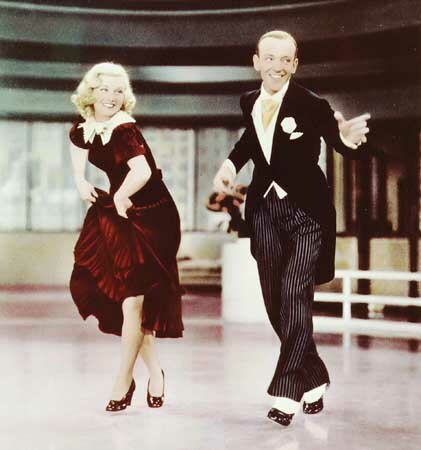 Six million plus ACA marketplace enrollees; New Hampshire joins the Medicaid expansion; North Adams Hospital closing; is saturated fat really good for you; on and on. Regrettably, those are not my topics today. After about two and a half years of writing Health Stew at boston.com, this will be the final Stew entry here. The first entry was dated November 7 2011, and this is entry #206. The boston.com powers that be have decided to end their community voices blog series effective Monday, March 31, including yours truly. I started the Stew at the request of Globe health editor Gideon Gil and had no clear idea how it would go or evolve, just hoping to find a way to talk about health policy -- US, Massachusetts, Greater Boston, and global -- in a way that some would find informative and helpful; also hoping, in a small way, to help counter the avalanche of deliberately misleading information about the Affordable Care Act. The experience has been, for me, overwhelmingly positive. But then, I do suffer from the reverse of an affliction known as Irish Alzheimer's (only remember the grudges) and even now, can't recall a single negative message in the comments section! I have appreciated the significant number of you who, rather than posting anonymous comments, have reached out to me via email with your corrections, compliments, and complaints. For me, the suspension comes at a fortuitous moment. Beginning in a week, I will be hosting the start of a US health policy massive-open-online-course (MOOC) for the Harvard School of Public Health, running until mid-June. I had wondered how I would find time for both MOOC and BLOG, and that conflict has now happily dissipated. Some have reached out and suggested that I find another venue for the Stew, and I am going to consider that possibility, while taking a sabbatical of sorts at least until August or thereabouts. If you want to know where it may go, I will communicate through Facebook, Twitter, and Linked-In when there is news to convey. Now also seems a convenient time in the history of the ACA to take a pause. The successful end of the first open enrollment period lays to rest the cocky predictions of the naysayers that the law would collapse. It won't. Health care justice is on the move in our nation, and it ain't going back. So thank you to the powers-that-be at boston.com whom I never met. Thanks to Gideon and Chelsea Rice for their helpful collaboration. Thanks to my wife, Janice, who put up with my obsessive blogging episodes. Thanks to all of you who read and commented and suggested. And special thanks and hugs to all the fighters out there for health care justice, especially those in the toughest states like Mississippi and Texas and Louisiana. This I know -- we're winning, you too. Not sure when or where, but I'll be back. So I just found out on Monday that boston.com is stopping its "community voices" blog series on Monday of next week, including (sniff, sniff) Health Stew. Well, for a little while, you don't have to. Audience: "Why is so hard to understand Obamacare?" Me: "How well do you think you understand the US health system to begin with?" Me: "If you don't understand the system, then it is much harder to understand its reform." We hope this course will help people all around the globe to understand U.S. health policy and its many controversies to develop more informed opinions on future developments. Please consider this a personal invitation from me to you to sign up and take part. No tuition, no fees, no advertisements -- just the straight stuff. And my Health Stew swan song -- coming up shortly. Yes, I know, it's not what you hear every day in the media about the Affordable Care Act (aka: ACA, Obamacare). 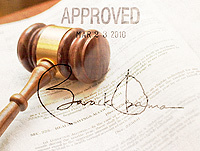 Yet, on today's 4th anniversary of the ACA's signing on March 23 2010, it happens to be true. Every day, inch by inch, row by row, the forces for health care justice in the United States are winning. While imposing threats and obstacles still lay ahead, the big ones, especially the U.S. Supreme Court and the 2012 elections, are behind. Yes, setbacks, delays, and screw-ups are yet to be endured, technological, administrative, fiscal, and otherwise. Stuff has happened and will continue to for some time to come. And yet, we've got to admit, it's getting better. How? Ten ways, of course. Gallup reports a significant drop recent months in the nation's uninsurance rate from 17.1 to 15.9%, with the biggest drop among households making less than $36,000 per year. The top issues that Brown believes differentiates the Republican Party from the Democratic Party are its deep concerns about the skyrocketing national debt and deficit, spending, the lack of jobs, and Obamacare (Affordable Care Act) that, he says, is crushing jobs creation. 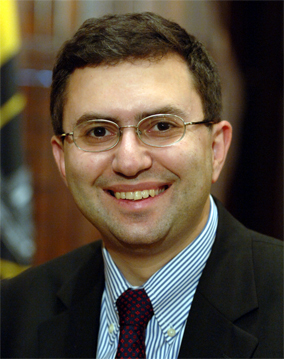 When the precursor to Obamacare was drafted and then passed by an overwhelming margin when he was in the Bay State's Legislature, it was the result of an intense collaborative effort that involved the governor (Mitt Romney), legislators, doctors and hospitals, and numerous stakeholders, Brown explained. "It was not a one-size-fits-all plan, dependent on executive orders," he explained. "Nor did legislators vote for it without reading it!" He characterized Obamacare as a "monstrosity" that's hurting the middle class. Richardson and his wife pointed out, however, that Obamacare has been a financial lifesaver for them. Richardson was injured on the job and was forced to live on his workers' comp payments for an extended period of time, which ultimately cost the couple their house on Williams Street. The couple had to pay $1,100 a month if they wanted to maintain their health insurance coverage under the federal COBRA law. Richardson said he only received some $2,000 a month in workers comp payments, however, leaving little for them to live on. Rita Richardson asked Brown to look into making it possible for stay-at-home spouses who work only sporadically at non-career jobs to go on Medicare when their breadwinner spouse reaches at 65. Brown said he would ask Sen. Kelly Ayotte about this problem, since he had not heard of this issue. Brown handed out and signed copies of his autobiography, "Against All Odds: My life of hardship, fast breaks, and second chances." The truth about the ACA is getting out, and it's getting harder for Republicans to deny it. It is there to improve our health and well-being, supporting us to keep mentally and physically well, to get better when we are ill and, when we cannot fully recover, to stay as well as we can to the end of our lives. It works at the limits of science -- bringing the highest levels of human knowledge and skill to save lives and improve health. It touches our lives at times of basic human need, when care and compassion are what matter most. The full constitution is an impressive document, addressing principles, values, rights, and responsibilities for patients, providers, and the public. Here's the handbook. It's not old. 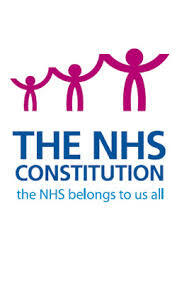 Though the NHS has been around since 1948, the constitution was first published in 2009 after an inclusive process to produce it. These days, the NHS is experiencing a boatload of difficulties and challenges, as is nearly every health system on the planet. One thing that everyone I spoke with found hilarious is the notion that Brits, given the chance, would want to replace their health care system with ours. Brits want improvement and change, though nothing like our system, which is why all three major political parties always emphasize their support for the NHS. 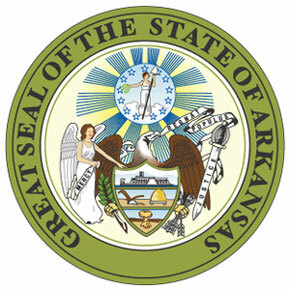 Yesterday, the Arkansas House of Representatives gave approval to the state's annual budget and, after a long hard fight, included continuation of its unorthodox health insurance expansion for low-income residents under the Affordable Care Act, dubbed the "private option." Does this matter beyond Arkansas' borders? Yes. Reversal would have been the first case of a state reversing an ACA expansion, and would have emboldened opponents to seek similar reversals in other states. The ACA, as originally designed, required that all states expand their Medicaid programs by 1/1/2014 to all uninsured residents with incomes below 138% of the federal poverty line (about $15K in annual income for a single adult). The U.S. Supreme Court decision in June 2012 that upheld the ACA's constitutionality also required that the Medicaid expansion be optional for states. In Arkansas, with a Democratic Governor (Mike Beebe) and a Republican-controlled House and Senate, a traditional ACA-Medicaid expansion was not in the cards. Despite the accusation that the ACA requires a "one size fits all" approach, the Obama Administration agreed to permit otherwise-Medicaid eligible adults to instead receive fully subsidized private health insurance through the state exchange/marketplace -- all private insurance all the time. Since the deal was struck in 2013, Iowa made a similar agreement, and other states such as Pennsylvania and Utah are now negotiating their own alternatives. 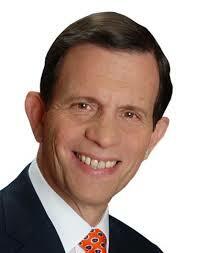 Today, I heard from State Treasurer and Democratic Gubernatorial Candidate Steve Grossman's campaign. Grossman has released an op-ed that "calls for solutions before lawsuits on Partners Healthcare merger with South Shore Hospital." The op-ed was published by the Boston Business Journal and you can see it here. Because Grossman's campaign reached out to me directly, I have a hunch some of my recent posts on this matter, here and here, might have had some impact in triggering their writing effort. I had urged the full cohort of otherwise silent gubernatorial candidates to state their position (exempting Attorney General Martha Coakley who will have to respond in due course because of her official role). "(C)onvene an urgent meeting of all parties, including the Health Policy Commission (HPC), the Attorney General, Partners, and South Shore Hospital. My principal goal would be to find common ground and compromise on a deal that delivers quality care without increasing health care spending, reducing competition, and driving up premiums for employers and consumers. ... Destroying this deal is against the best interests of Partners and the people of the South Shore. ... Let's push Partners to revise its plan and lower reimbursements rates." I applaud the Treasurer for being the first to step up and speak out. He did an artful job of not taking a position and keeping both sides guessing. He's put the first stake in the ground on this among the candidates. Let's see what the others have to say, if anything, and I'll report the results here. Last Monday, Massachusetts Republican gubernatorial candidate Charlie Baker spoke at a forum at the Boston College Graduate School of Social Work about health policy matters in Massachusetts. This is good! Yeah for Charlie! Two issues stuck out and I'll address them in sequential posts: first, Partners Healthcare's proposed acquisition of South Shore Hospital; and second, Massachusetts waiving out of the Affordable Care Act. First, let's consider the Partners matter which I discussed in this recent post. As reported by State House News Service and reprinted in Commonwealth Magazine, Charlie refused to disclose if he has a position on the Massachusetts Health Policy Commission's (HPC) recommendation that the acquisition be stopped from happening. "Asked specifically about Partners and South Shore Hospital, Baker repeatedly talked about the need for transparency." This has been Charlie's reflexive posture for years now: whenever asked a question he doesn't want to answer, up comes "transparency." Good for thee and not for me, or something like that. "'I've been saying for about 10 years now that I think there's nowhere near enough transparency in the health care business. I do believe price and performance matters and it should be publicly available information and I think in a world in which there was complete transparency around what people were getting paid and how they were performing some of the issues around consolidation would become less important,' Baker said." Have you ever had a book you've been telling yourself to read for years, and just never get around to reading it? When you finally do, you kick yourself: what took me so long! I just did. It's called "The Dance of Legislation" first published in 1973 by Eric Redman, a wet-behind-the-ears 20-something kid who got a job in the U.S. Senate working for US Senator Warren Magnuson (D-WA) and played a pivotal role in the passage of a law in 1971 that created the National Health Service Corps (NHSC) . First, it's an insider's look at the legislative process on Capitol Hill in the first term of the presidency of Richard M. Nixon. Repeatedly, throughout the legislative process, the NHSC bill was inches away from death for reasons serious and spurious. While life in the U.S. Senate has changed in innumerable ways over the past 41 years, essential dynamics remain in play: the power of ideas, the rewards of persistence, the unpredictable twists and turns, good and bad, that spell the difference between a bill's life and death. If you like policy and politics, this is an unstoppable page-turner that often provokes laugh-out-loud moments. And if you think that the legislative maneuver called the "pocket veto" is as dull as it gets, you won't say that after reading a nail-biting conclusion. Today the state's new Health Policy Commission (HPC) voted 9-0 to approve a report recommending that Partners Healthcare's proposed acquisition of South Shore Hospital not proceed. Though the HPC does not have authority to stop the acquisition, MA Attorney General Martha Coakley and officials from the Federal Trade Commission have been waiting for this report before making their own moves. If they follow through on the HPC recommendation, it will be the most dramatic and significant intervention in the Massachusetts health care marketplace by government since the state deregulated hospital finance controls back in 1991, 23 years ago. Love it or hate it, this is big stuff, make no mistake. Honestly, I recommend that you read the whole 123-page report, which includes Partners' dissent, as well as today's HPC response. I started by reading Partners' dissent and confess to being impressed by their arguments. Didn't last. The HPC analysis is impressive and solid, and their retort to the Partners' objections -- along with statements from three independent consultants -- is pretty devastating. 3. Commitment to transparency, on a regular basis, moving forward. By my scorekeeping, the Governor did well on all three counts. Though getting to where we need to be still won't be quick and easy, the Governor deserves recognition for making significant changes to get things on track. I'm not convinced, and I'm hopeful. "To the people whose transition has not been smooth, I join my colleagues from the Connector and MassHealth in apologizing to you for the inconvenience, and I want to thank you for your patience," Patrick said. "I also want to assure you that we are not going to let anyone slip through the cracks." "There is currently no solid process to get urgent medical need cases processed in a timely fashion. Uninsured consumers that have applied and are waiting an eligibility determination have two options to get needed health care right now: 1) Delay your appointment or 2) Pay out of pocket. To give you an example, a man with cancer had a kidney and part of his liver removed in December at a major hospital in Boston. He had a post-op appointment scheduled in early January and was told by his surgeon's office that he couldn't come for the appointment until he 'got his MassHealth figured out.' The 'solution' he was given was to delay his appointment or pay out-of-pocket. We're hearing stories like this regularly at the advocate and provider tables. "We have been given 'contacts' at the state to help us 'resolve' issues and get people coverage, but the system is so, so broken, to the point where these contacts take many days to find applications and then many days to process them. Also, we are seeing erroneous eligibility determinations come out of the new clunky systems they've built." Immediate attention to the immediate needs of people at risk has to be a top priority. And please don't go shooting the messengers. Aside from the controversy described in the prior post, the new CBO Budget and Economic Outlook Report 2014-2024 contains many insights into the future of the US health care system, especially involving Medicare, Medicaid, and the Affordable Care Act. Let's explore. Medicare: In 2013, Medicare had about 51 million beneficiaries; CBO expects that number to climb to 71 million by 2024 because of the Baby Boomer influx. "The slowdown in [Medicare] cost growth during the past several years has been sufficiently broad and persistent to lead CBO to project that growth will be slower than usual for some years to come." CBO now anticipates Medicare services lower than it did last May, with reduced outlays 2014-2023 by $154 billion (or about 2%). Medicaid: Enrollment is expected to rise from 69 million people in 2013 to 73 million in 2014 and to 89 million in 2024. By 2018 about 80% of the Medicaid eligible population will be in states that have extended coverage, currently at about 40%. Affordable Care Act: ACA premium and cost sharing subsidies are expected to cost $18 billion in 2014 and to rise to $166 billion in 2024. CBO estimates that 5 million will receive exchange subsidies in 2014 rising to 19 million in 2016. Uninsured: CBO estimates that the insurance coverage provisions of the ACA will markedly increase the number of nonelderly people who have health insurance, by about 13 million in 2014, 20 million in 2015, and 25 million through 2024. Still about 31 million non-elderly US residents are likely to be uninsured in 2024, roughly one out of every nine residents. Without the ACA, the number would be at about 56 million. Of the remaining 31 million uninsured, about 30% (9 million) are expected to be unauthorized immigrants; about 20% (6 million) will be eligible for Medicaid but will choose not to enroll; about 5% (1.5 million) will be ineligible for Medicaid because they live in a state that has chosen not to expand coverage; and about 45% (14 million) will not purchase insurance even though they have access through an employer, an exchange, or directly from an insurer. If undocumented immigrants are included, 89% of US residents will have insurance coverage by 2024; not counting brings the proportion to 92%. Risk Adjustment/Reinsurance/Risk Corridors: All three ACA programs, which take effect in 2014, reduce the likelihood that particular health insurers will bear especially high costs to cover the expenses of a disproportionate share of less healthy enrollees. They encourage insurers to offer coverage under the new federal rules and curtail their incentives to avoid accepting high-risk enrollees.Far from an insurance industry bailout, these programs will generate a net surplus of $8 billion for the federal government by 2024. The big number to contemplate: by 2024, 180 million Americans will get their health insurance coverage through Medicare or Medicaid or exchange subsidies, or more than half the US population. A changed landscape for sure. This week, the Congressional Budget Office (CBO) released its annual Budget and Economic Outlook for 2014-2024. If you have never viewed one of the reports, I recommend looking at this one. It's fascinating on many levels. I can't recall CBO's Outlook ever getting this much attention as this one, specifically because of new estimates of the numbers of Americans who will stop working or reduce their hours of work between now and 2014 because they can now get health insurance coverage outside of their jobs thanks to the Affordable Care Act. Two things: First, the oversized reaction to the estimate is one further example of the ACA insanity that continues to grip the nation's political class. Second, the CBO report contains a lot of compelling analysis about the nation's health system over the next 10 years that has been completely ignored. Let's consider both of these, the second in a companion post following this one. That's it. People who were staying in their jobs for the sole reason to qualify for employer health insurance no longer need to do so as of January 1, 2014. Over the next 10 years, some of them will voluntarily leave their jobs or reduce their numbers of hours worked by their own free choice. No lost jobs, no layoffs. Social Security did the same thing; many seniors stopped working when Social Security began because their SS benefits allowed them to do so. That also reduced the number of hours worked. Heck, same thing with outlawing child labor; fewer hours worked because of that, for sure. Right now, Republicans are deliberately misrepresenting the CBO finding to claim that people will be losing their jobs. Their claims are both untrue and dishonest. A reasonable amount of attention is going to the new health reform proposal released this week by three leading Senate Republicans: Utah's Orrin Hatch, Oklahoma's Tom Coburn, and North Carolina's Richard Burr. Rather than get into the details, already done in many places (here, here, here), let's consider the politics of the plan. I think it is unimportant for reasons some folks suggest, and it is highly important for an alternative reason. First, a tale. 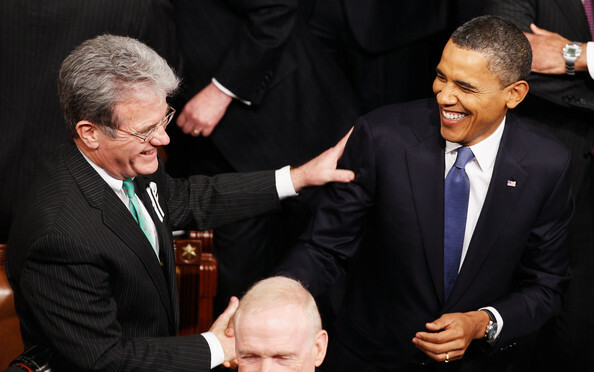 When I worked in the U.S. Senate in 2009, Senator Coburn (pictured, left, with his friend, the President) sat on the HELP Committee in which I worked. He had worked diligently to write his own comprehensive health reform plan, and he loved talking about it. He would bring a copy to hearings, to markups, to the Senate floor. He would hold it up, telling anyone who would listen that he had a commonsense plan we should all adopt. And he would get a fair amount of press whenever the parties got into an argument about the lack of an alternative Republican plan. One time, I decided to check how many members of the 40-member Republican caucus had signed onto Senator Coburn's bill. It wasn't hard. He had seven, (7), [VII] co-sponsors. Counting himself, only one of five Republicans liked his bill enough to add their own names. But he just kept on touting his reform bill, and in spite of the teensy support, he seemed to get value from the exercise. The opposition surely blocked their ears. Tonight, President Obama gave a strong and compelling defense and rationale for the Affordable Care Act. No defensiveness. Justifiable pride in one of the major advances in social justice in our modern history. "One last point on financial security. For decades, few things exposed hard-working families to economic hardship more than a broken health care system. And in case you haven't heard, we're in the process of fixing that. "A pre-existing condition used to mean that someone like Amanda Shelley, a physician assistant and single mom from Arizona, couldn't get health insurance. But on January 1st, she got covered. On January 3rd, she felt a sharp pain. On January 6th, she had emergency surgery. Just one week earlier, Amanda said, that surgery would've meant bankruptcy. "That's what health insurance reform is all about -- the peace of mind that if misfortune strikes, you don't have to lose everything. Already, because of the Affordable Care Act, more than three million Americans under age 26 have gained coverage under their parents' plans. More than nine million Americans have signed up for private health insurance or Medicaid coverage. "And here's another number: zero. Because of this law, no American can ever again be dropped or denied coverage for a preexisting condition like asthma, back pain, or cancer. No woman can ever be charged more just because she?s a woman. And we did all this while adding years to Medicare's finances, keeping Medicare premiums flat, and lowering prescription costs for millions of seniors. "Now, I don't expect to convince my Republican friends on the merits of this law. But I know that the American people aren't interested in refighting old battles. So again, if you have specific plans to cut costs, cover more people, and increase choice -- tell America what you'd do differently. Let's see if the numbers add up. But let's not have another forty-something votes to repeal a law that's already helping millions of Americans like Amanda. The first forty were plenty. We got it. We all owe it to the American people to say what we're for, not just what we're against. "Steve's right. That's why, tonight, I ask every American who knows someone without health insurance to help them get covered by March 31st. Moms, get on your kids to sign up. Kids, call your mom and walk her through the application. It will give her some peace of mind, plus, she'll appreciate hearing from you. After all, that's the spirit that has always moved this nation forward. It's the spirit of citizenship -- the recognition that through hard work and responsibility, we can pursue our individual dreams, but still come together as one American family to make sure the next generation can pursue its dreams as well." Just watched Massachusetts Governor Deval Patrick deliver his final State of the State address. 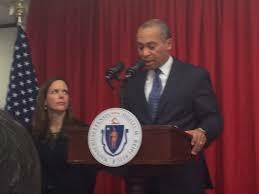 I have always appreciated and admired Deval Patrick and continue to do so. He's been a very good governor, and his successor should hope to do at least half as well. He was much more instrumental in the successful implementation of Massachusetts health reform than was the guy, Mitt Romney, who got the credit. I was waiting to hear the Governor share with the Commonwealth his plans to get the Health Insurance Connector website working at an acceptable rate. It's nearly four months now since it's been officially and completely dysfunctional. And now we know that the Administration was warned of this impending calamity as early as last July. If there has not been a conspiracy of silence in leveling with the public about what's gone wrong and how it will be fixed, our responsible state officials, including Governor Patrick, are all doing a fine imitation of one. "...fix the Connector website ... solutions not just fault." This is unacceptable. I can't name a single Massachusetts official who is leveling with the public on this national embarrassment. From what I hear, second and third hand, four months into this disaster, the Patrick Administration has no plan. No plan. No explanation. No hope. By federal stats, we're the worst in the nation in enrollment, number 50 out of 50. Other states -- Minnesota, Oregon, Maryland -- are facing their own website catastrophes. In those states, their Governors are out front offering explanations to their citizens. Massachusetts deserves better. And we deserve to hear it from the Governor. It should have been tonight. Now it should be tomorrow. Level with us. Why does expansion of Medicaid, as permitted by the Affordable Care Act, and as now being implemented by 25 states and the District of Columbia, matter? Is it politics? Ideology? Partisan advantage? 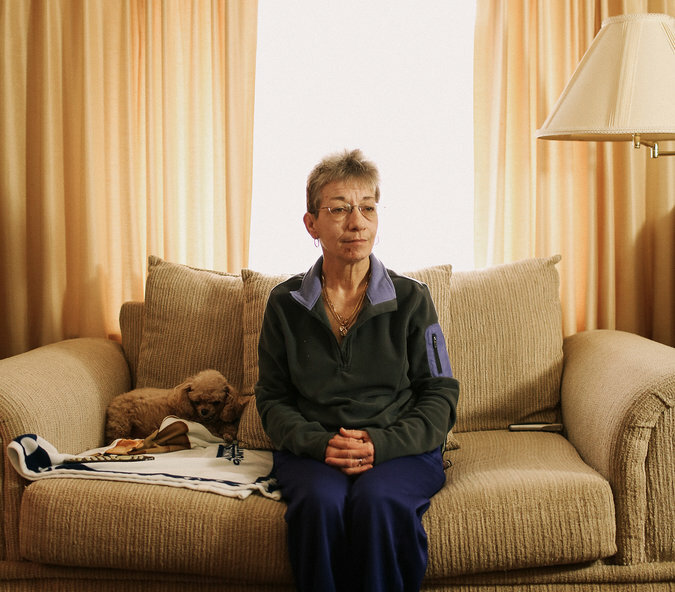 Sharon Mills, a disabled nurse, long depended on other people's kindness to manage her diabetes. She scrounged free samples from doctors' offices, signed up for drug company discounts and asked for money from her parents and friends. Her church often helped, but last month used its charitable funds to help repair other members' furnaces. Ms. Mills, 54, who suffered renal failure last year after having irregular access to medication, said her dependence on others left her feeling helpless and depressed. "I got to the point when I decided I just didn't want to be here anymore," she said. So when a blue slip of paper arrived in the mail this month with a new Medicaid number on it -- part of the expanded coverage offered under the Affordable Care Act -- Ms. Mills said she felt as if she could breathe again for the first time in years. "The heavy thing that was pressing on me is gone," she said. Waitresses, fast food workers, security guards and cleaners described feeling intense relief that they are now protected from the punishing medical bills that have punched holes in their family budgets. They spoke in interviews of reclaiming the dignity they had lost over years of being turned away from doctors' offices because they did not have insurance. "You see it in their faces," said Janie Hovatter, a patient advocate at Cabin Creek Health Systems, a health clinic in southern West Virginia. "They just kind of relax." But Gina Justice, a social worker with the Mingo County Diabetes Coalition, said many of her patients have to choose now between medicine and food, so access to critical medications through new coverage will be a lifeline. "People tell us, 'This is the food month,' " Ms. Justice said. "If you can take away that stress because now you've got a medical card, then you can focus on healthier eating that will help with these medical issues." And there is a high price for being uninsured, she said. One patient, a coal truck driver in his 30s with diabetes, came in for treatment whenever he was insured, which was not often. Last summer, he had a stroke after a stretch when he had no coverage; he now walks with a cane and cannot drive. Another patient, a woman with diabetes, is now legally blind because she could not find an endocrinologist who would treat her, or a lab that would run tests, without insurance, Ms. Justice said. The reason so many Americans have fought so long and so hard to win health care for all our fellow citizens -- these people and their stories, that's why. And most leading national Republicans are all on record wanting to repeal the ACA and put these people back where they were before January 1. That's a disgrace. 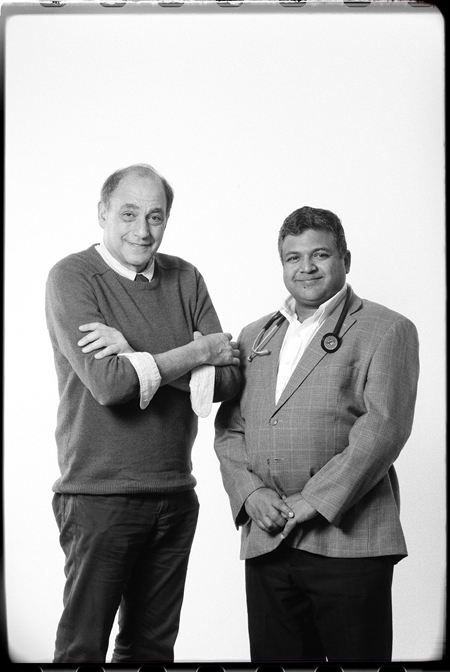 In the new Commonwealth Magazine, Michael Jonas takes a close look at two of the most compelling innovators in Massachusetts health care, Dr. Bob Master, founder and President of the non-profit Commonwealth Care Alliance (CCA), and Dr. Rushika Fernandopulle, founder of the for-profit Iora Health. Both are on the front lines of reinventing and reinvigorating primary care as the driver of health system transformation. 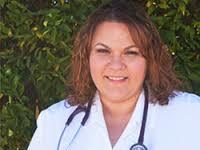 Both seek to provide the best possible primary care to the neediest folks they can find. Iora Health is focused on working age adults, with four sites around the nation, and locally with the New England Council of Carpenters in Dorchester. They service a different population using a similar approach to CCA. If you would like to take a good look at two of the nation's most exciting health innovators, please give Michael's article a look. As dust begins to settle on implementation of the Affordable Care Act (ACA) (post January 1), it is predictable that states will begin again to experiment with big new policy ideas in the health space. We can see this already with purple states such as Arkansas and Iowa seeking alternative ways to take advantage of the ACA's generous Medicaid expansion; we see it with Vermont's attempts to create its own single payer system; we see it with Massachusetts' attempt to establish an aggregate limit on health care cost increases across its whole system. Now it's Maryland's turn, and that effort just might be the most consequential of all. This past Friday, the federal government and the state announced agreement on a new five-year Medicare waiver to re-engineer the state's hospital rate setting system that has been in place since the 1970s. The revised structure will create in its place system-wide accountability to keep costs growing no faster than the overall economy and to hyper-charge the transition from fee-for-service to global payment. For more than 30 years, Maryland's old hospital rate setting system successfully controlled per-admission hospital costs relative to the nation, a measure now recognized as too narrow. The new structure will limit per capita expenditures for hospital services, inpatient and outpatient, and will institute new tools to improve both quality and population health outcomes. Ambitious stuff. Click here to get free access to a New England Journal of Medicine article written by some of the key architects of this new system, including Josh Sharfstein, MD, (right) Maryland's Secretary of Health and Mental Hygiene. One transition almost certainly ahead in 2014 is the chairmanship of the U.S. Senate Finance Committee (SFC). I know -- inside baseball. But this will matters for many key issues, not the least of which is national health policy. And the likely new chairman has a compelling and unorthodox profile on health reform, and some trophies on the wall for his efforts. The current chair, Sen. Max Baucus of Montana, is President Obama's choice to be the next US Ambassador to China. His certain SFC successor will be Sen. Ron Wyden of Oregon. To say that Baucus and Wyden did not see eye-to-eye is putting it mildly. 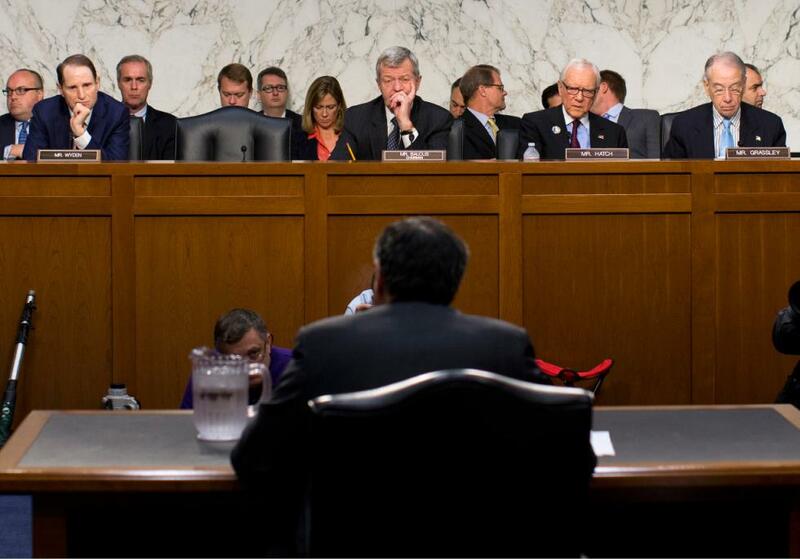 (Picture on right shows Wyden on left and Baucus in center; Hatch and Grassley to Baucus' right.) In spite of a shared tendency to cross party lines and find alignment with Republicans on controversial issues (Baucus supported the '01-03 Bush tax cuts and '03 Medicare drug benefit; Wyden co-wrote a radical Medicare reform plan in 2011 with Rep. Paul Ryan), neither has joined the other's fan club. It was in 2007 when Wyden really stood out by introducing a comprehensive national health reform plan known as the "Healthy Americans Act (HAA)." It was noteworthy substantively and politically. Substantively, it was far bolder than the Affordable Care Act (ACA), proposing the near elimination of the federal tax subsidies for employer sponsored health insurance, and requiring that nearly everybody (except Medicare enrollees) buy their coverage through a form of health exchanges, with income-based subsidies for the neediest. No more Medicaid or CHIP. It was universal coverage with everyone treated the same based on income. The Congressional Budget Office scored is as deficit neutral in year one and going forward. Though Wyden made adjustments along the way to smooth the politics, he held to the basic formula. Going out on a provocative metaphorical limb here, I'll enjoy hearing the sound of the saws. 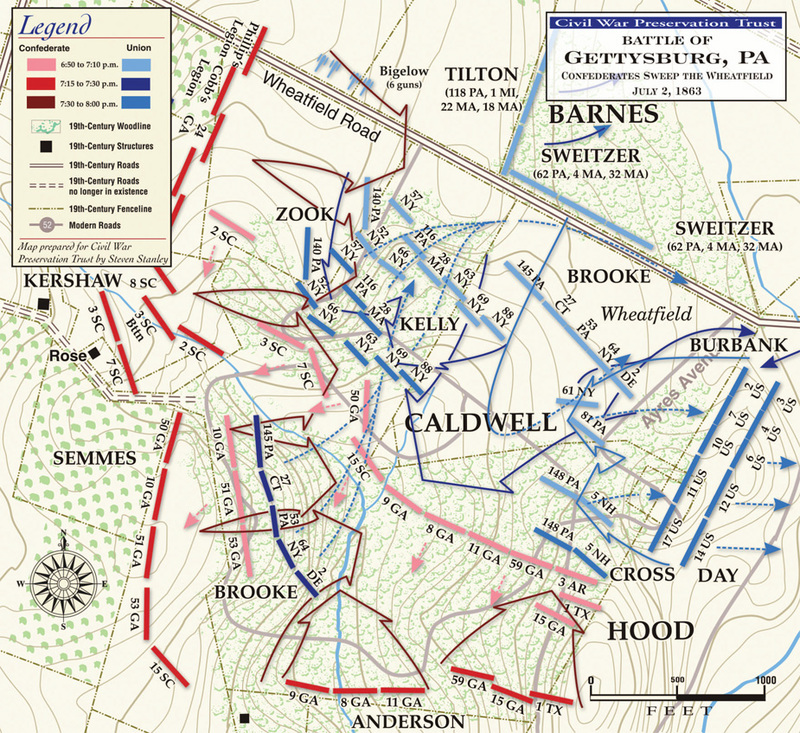 A compelling comparison can be made between where the US is at right now on health reform and the nation's fortunes 150 years ago, right after the Union Army's victory at Gettysburg on July 4 1863. Before that, let's consider January 1 2014. In the midst of constant turmoil over websites, enrollment snafus, policy cancellations, political attack ads, and more, we are missing something important. January 1 2014 may well be the most transformational day in the history of United States health care policy, ever, and nobody seems to notice. What's so big about 1/1/2014? Establishing "minimum essential benefits" that must be included in nearly all licensed health insurance policies everywhere. Second, Medicaid coverage begins for close to five million uninsured low-income Americans in participating states, with many more millions to follow. This will happen more slowly than the Affordable Care Act's designers expected because of the Supreme Court ruling that made the Medicaid expansions optional for states. But come they will. Third, private health insurance coverage starts for about one million Americans purchasing coverage through the federal/state health insurance marketplaces with many more to follow. Fourth, the principle of personal responsibility -- aka the "individual mandate" -- to obtain health insurance coverage takes effect, with the Supreme Court's stamp of approval. Lay aside for the moment whether you think these changes are celebratory or catastrophic, and just consider the momentous nature of the changes taking effect on this coming Wednesday. What historical date in U.S. health policy history might rival this one? The only one that comes to my mind is July 1 1966 when Medicare coverage took effect for the first cohort of senior citizen enrollees. No doubt that was historic, though I would argue that the scope and breadth of changes coming this week are far more consequential by comparison. Down in DC, hearts are atwitter among those who pay attention to the reimbursement of physicians in Medicare Part B (the fee-for-service part of Medicare that pays physicians). Key committees in the House and Senate have now approved legislation to reform physician payment by: 1. Permanently and totally repealing a monstrosity known as the Sustainable Growth Rate (SGR); and 2. Replacing it with a new and smart set of physician performance standards. Only one thing is missing from the happy events: a way to pay for the full cost of repeal over 10 years, as required under Congressional rules called "paygo." The cost of the repeal legislation is estimated by the Congressional Budget Office at around $140 billion, a veritable bargain in contrast with estimates as high as $350 billion just 2-3 years ago. Truth is, if Congressional leaders can't figure out how to pay for the legislation, then it's just a pipe dream. I propose a solution. But first, let's back up a bit. The longer one is in a field, that harder it gets to learn anything new. Old wine in new bottles, over and over. 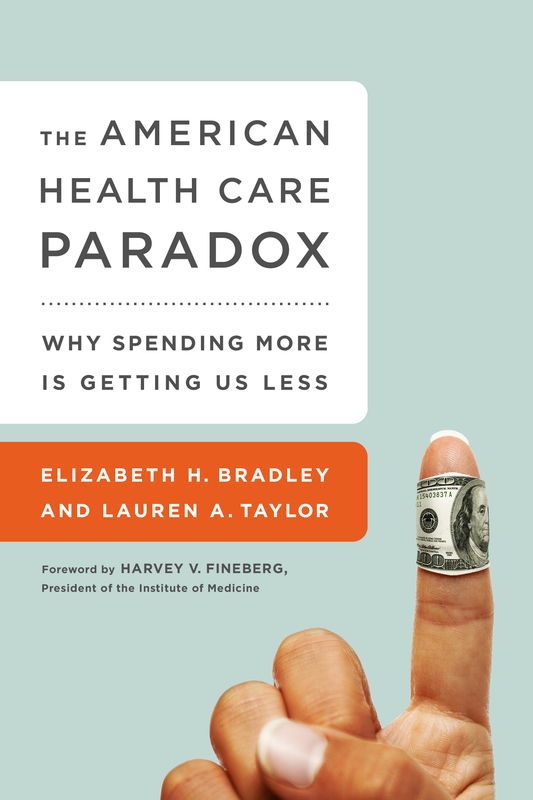 Well, I've just finished reading a new book, The American Health Care Paradox, by Elizabeth Bradley and Lauren Taylor (previously reviewed in the Globe here). Thi s is new and its central argument will change how I talk in the future about the dilemma of U.S. health care spending. The U.S. pays so much more for medical care than does any other advanced nation, and from that societal investment, we get mediocre to poor results on life expectancy (26th place), infant mortality (31st), low birth weight (28th), maternal mortality (25th), you name it. It's been true since the early 1980s, and we keep looking for solutions from within the health care sector itself. "Social services expenditures included public and private spending on old-age pensions and support services for older adults, survivor benefits, disability and sickness cash benefits, family support, employment programmes (eg, public employment services and employment training), unemployment benefits, housing support (eg, rent subsidies) and other social policy areas excluding health expenditures." Two new reports, out today from the Robert Wood Johnson Foundation, put Massachusetts in different lights -- one really nice, and another pretty bad. Let's look! 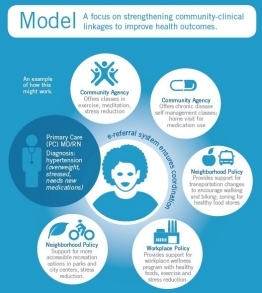 First, RWJF released this report today "The Massachusetts Prevention and Wellness Trust: An Innovative Approach to Prevention as a Component of Health Care Reform." The report reviews the substance and process behind the creation, in 2012, of the new four-year $60 million Trust, created as an element of that year's major health care cost containment law. Nicely done, attractive, readable, and informative. It's called the National Health Service Corps. 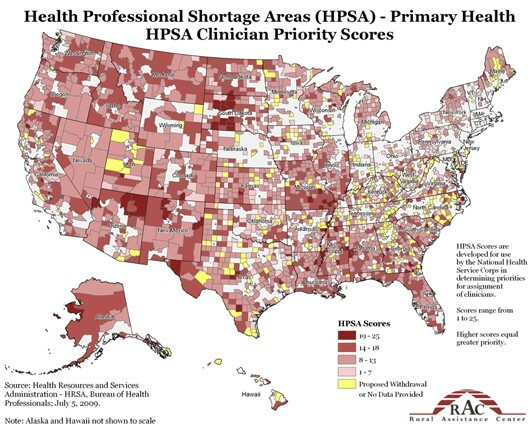 Since 1972 it has provided medical education loan repayment for young medical professionals who provide primary care services in medically underserved areas of the U.S. NHSC provides scholarships to medical, osteopathic, dental and behavioral health students or loan repayment after they graduate in exchange for their service to needy populations in health professional shortage areas -- see map below. Now, here's some good news. This past week the U.S. Health Resources and Services Administration (HRSA), the federal agency that runs the NHSC, reported that 8,900 health professionals are now NHSC providers serving about 9.3 million Americans. That's more than double the number of Corps providers as recently as 2008. How come? You probably guessed -- the Affordable Care Act provided an additional $284 million to expand the Corps, thanks to the advocacy of Vermont Senator Bernie Sanders. Here is some more good news. HRSA Administrator Dr. Mary K. Wakefield reports that "More than 85 percent of National Health Service Corps providers continue to serve in high need areas two years after their service commitment is met." "But, most of Roberto's time is spent in geriatric care, which includes home visits for some patients. 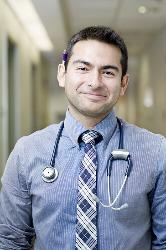 As clinical coordinator for the geriatrics program, Roberto oversees a staff of six and works with the clinic's primary care providers to deliver interdisciplinary and integrated care to patients." The National Health Service Corps -- something else to like about the ACA.